If a babbler is disruptive; repeatedly attempts to provoke conflict, bait or taunt, they may be warned, have their accounts suspended, or be banned altogether. The decision is at the discretion of the moderators. Any babbler who has been previously banned and re-registers with another user name can and will be banned again without warning. Continued participation on these boards is at the sole discretion of the moderators and staff of rabble.ca. While rabble.ca has the ability to remove offensive messages, we will only do so in the most extreme cases (libel, commercial spam, etc). In those cases, we will remove the offending post within a reasonable amount of time. Moderators may change thread titles for any number of reasons, including but not limited to: errors in grammar or spelling; libel or slander; oppressive/offensive language; commercial or other kinds of spam; any other reason. •	When a thread reaches 100 or more posts. This is out of concern for loading times of dial-up users, but also because very often a topic is thoroughly discussed by that point. Anyone may open a continuing (Part 2, Part 3, etc) thread if they wish. A thread may be moved by the moderators from one forum to one more appropriate to the subject matter. All babblers agree, through your use of this service, that you will not use this discussion board to post any material that is knowingly false and/or defamatory. You agree to avoid personal insults, attacks and mischievous antagonism (otherwise known as "trolling"). You will not post material that is inaccurate, abusive, hateful, harassing, obscene, threatening, invasive of a person's privacy or otherwise in violation of Canadian law. You understand that racist, sexist, homophobic, transphobic, classist (e.g. poor-bashing) and other oppressive language that degrades marginalized communities is not acceptable. This policy applies to both public and private messages. All babblers agree not to post any copyrighted work unless they own the right to the material. Short quotes, accompanied by both links and references to such material are acceptable. Continuous linking to a publication, website, blog or other writing that is the babbler's or another party's is considered spamming. Anyone who does this could be warned and/or banned for doing so. •	Hit the "flag as offensive" button at the bottom of the post in question. •	E-mail the moderators at babble(at)rabble(dot)ca with the thread title and url link. Considering the high pace of babble, it is impossible for moderators to review messages or confirm the validity of all information posted. Although moderators do not-and cannot-review every post, and are not responsible for any of the content posted, we reserve the right to delete any message or thread for any reason whatsoever. Moderators are not obligated to remove any posts created before a suspension or a banning, unless the moderators deem it necessary. rabble.ca reserves the right to suspend posters who have provided false information for their profile. rabble.ca reserves the right to reveal anyone's identity or any personal information in the event of a complaint or legal action arising from any message posted. rabble.ca reserves the right to read private messages when necessary to investigate complaints about inappropriate or abusive messages. 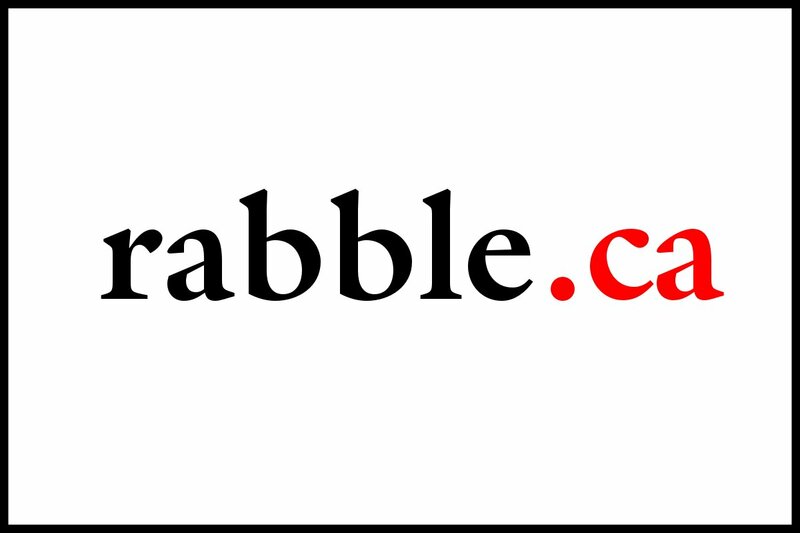 rabble.ca does not vouch for or warrant the accuracy, completeness or usefulness of any message or the service, and is not responsible for the contents of any message or the service. The messages express the views of the author, not necessarily the views of rabble.ca or any entity associated with rabble.ca. rabble.ca reserves the right to revise this policy at any time in the future. babble participants will be notified when changes occur. This policy was updated October 2010.